CADSTAR is a complete design environment for PCB design – from initial concept through to product realization. With a unified suite of applications, engineers can seamlessly define, visualize, implement and verify their designs. Optimized for the typical small and mid-sized design team, it also appeals to individual all-rounders and corporations operating across multiple sites. A quick and easy way for you to experience the basic features of a standard PCB solution. It includes all the functionality of CADSTAR , limited to 300 pins and 50 components. Ideal for the first time opportunity to experience Zuken’s advanced P.R.Editor. In addition you are granted access to an online CADSTAR library with 20,000 parts available for download. 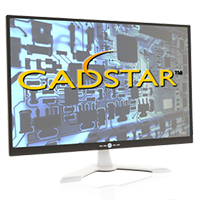 A free product that lets you share and access CADSTAR design data very easily on any of your preferred Windows platforms. CADSTAR Touch – CADSTAR Touch is a free PCB design productivity App for iOS and Android devices that allows remote control of CADSTAR’s view and program functions.